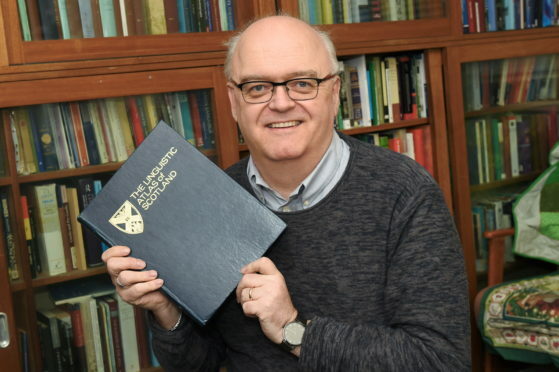 A north-east academic has revealed his fears that traditional Scots language is fading into the past, with cherished words and phrases at risk of being forgotten by future generations. With 1.6 million speakers in Scotland, and more in Ulster, Scots is one of the largest minority languages in Europe. But Professor of Linguistics and Scottish Language at Aberdeen University, Robert McColl Millar, is worried there has been a drastic decrease in its usage over the last 60 years as society has transformed and various traditional industries have declined. He believes that much of our understanding of the use of the language is based on surveys conducted more than 60 years ago. And the professor believes it is “essential” that a better understanding of the way Scots words are used is ascertained, in order to determine the best way to preserve the language. Researchers in Aberdeen and Edinburgh are now planning a new Linguistic Survey of Scots, which will trace changes in knowledge and use of the vocabulary from the 1950s until now. The survey will focus on people of different ages and social backgrounds and Professor Millar expects to see “significant change”. He said: “Language naturally changes over time. Words are replaced and cannibalised. “But with Scots, we see words that fall out of fashion being replaced not with other Scots words but, more likely, with colloquial English words. Mr Millar listed examples from the fishing and farming trades, where words associated with pieces of machinery or equipment which have since become redundant have been forgotten. He added: “The replacement technology now utilised does not have a name in Scots, the Standard English word being used universally. “A good example of this is ‘barkin’, referring to a water retardant substance with a pungent smell painted onto clothing and ropes to protect them at sea. Professor Millar added that the new initiative needs the input of Scots speakers and local archivists who have compiled their own collections of local words and recorded their usage. Professor Millar can be contacted at r.millar@abdn.ac.uk or on 01224 273909.